Are you looking for a way to engage your students in new and interesting ways? 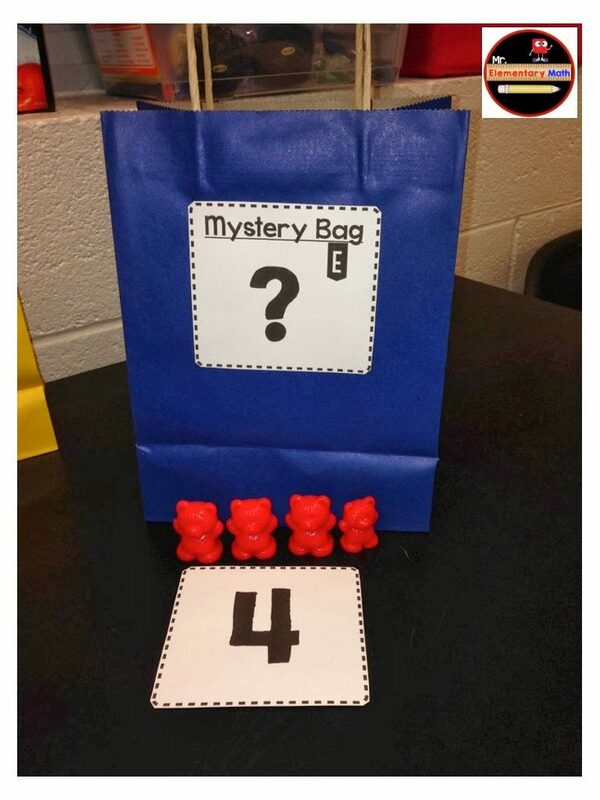 Then the mystery bag activity is just for you! Purchase 6 gift bags from your local Dollar Tree or Walmart. In fact, the bags used in this example were 2 for a $1.00. The total cost of the 6 bags from the Dollar Tree were $3.18. This is a pretty inexpensive hook or center idea. 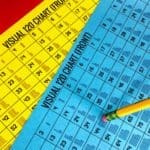 This activity is good for Kindergarten & 1st Grade students. The preparation for this activity is quick and easy. 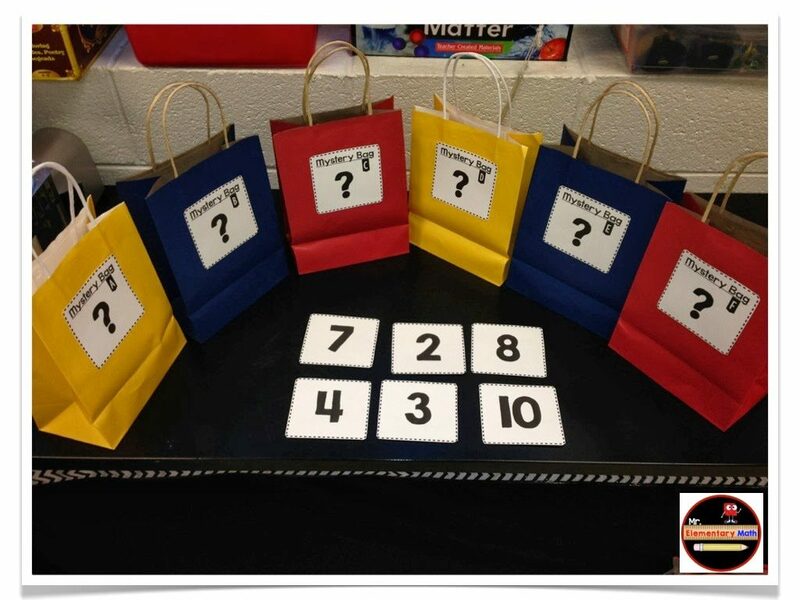 Simply glue label cards to the front of each mystery bag. 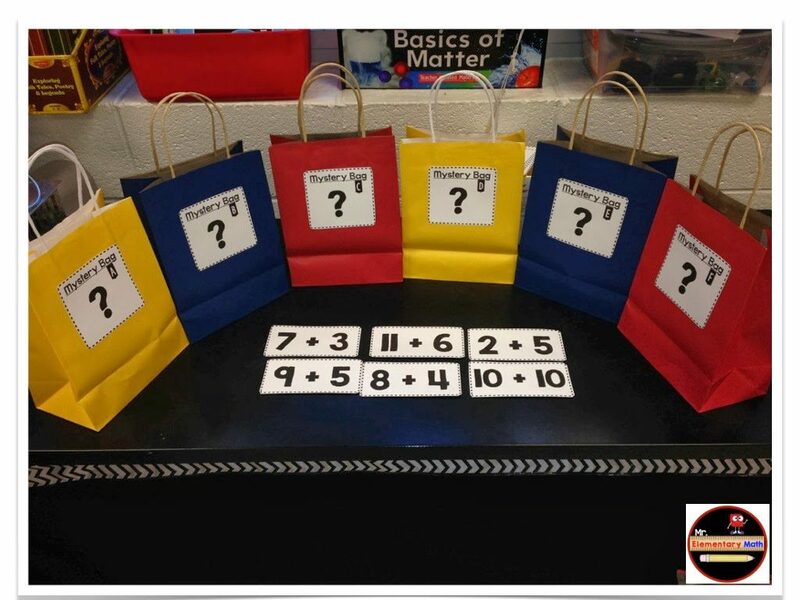 Place the number of counters on the number cards inside each bag. For example, for the 8 card place eight counters inside that bag. Now, we are all set. The students work together in pairs. The students should reach inside a bag one at a time without looking. 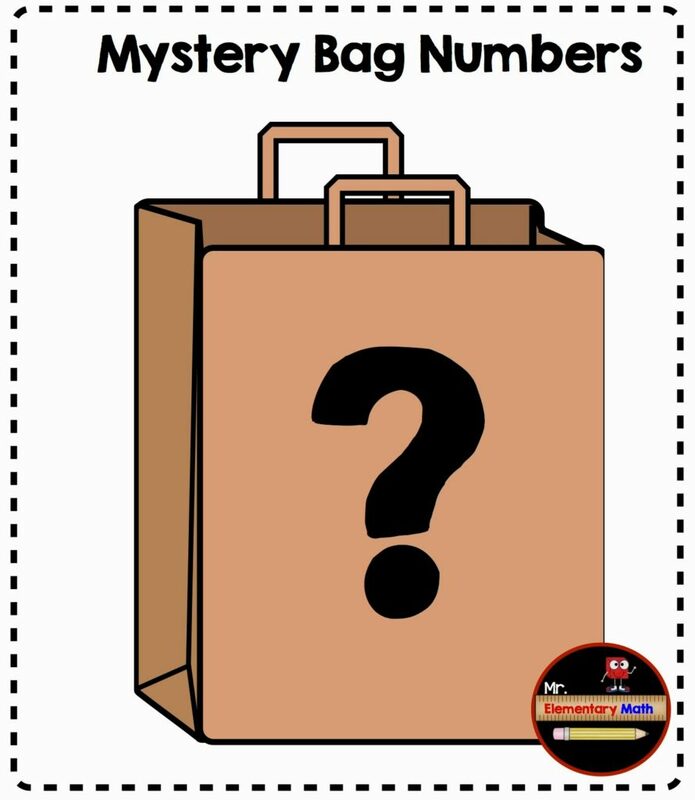 They will count the number of counters they feel inside the bag and place the correct number card in front of the bag. The other student will go next and follow the steps above. 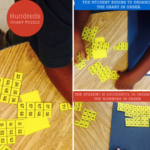 Once the students are finished they should check to determine whether they were correct or not by matching the counters with the number cards. As an extension activity, allow the students to arrange the numbers in order from least to greatest or complete the Extension worksheet. 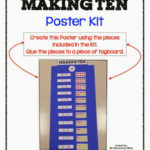 Be sure to download the template with the labels and number cards by clicking on this link! Feel free to set up your mystery bags like the examples above. goes with the mystery bag check to see if the answer is correct. 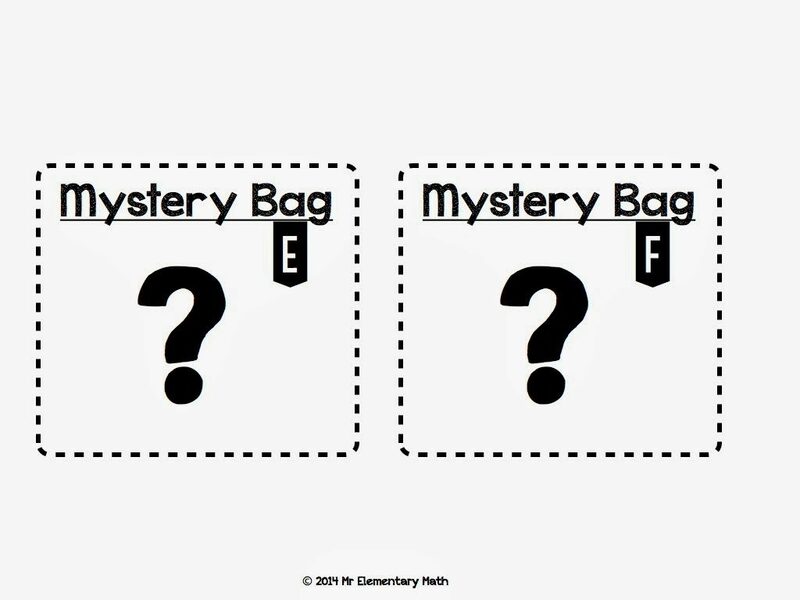 This is a picture of the mystery bag labels. 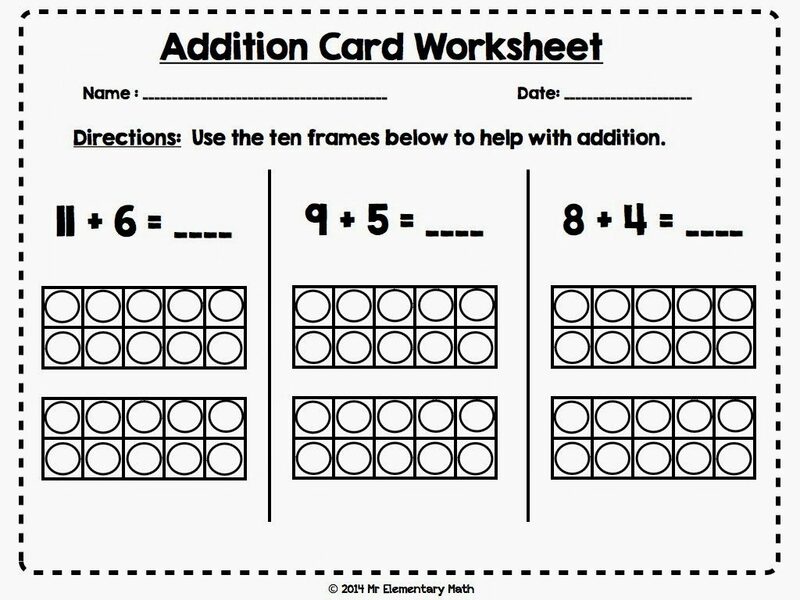 As an additional idea, use this activity with addition. Instead of using the number cards use the addition cards. Refer to the pictures below for more details. The setup for the addition cards is the same as the setup for the number cards. Since 2 + 5 = 7 then there should be 7 counters in the bag. in front of the bags they can check to see if they are correct. The worksheet goes nicely with the activity. Give me feedback and let me know how you use this activity in your classroom. Do not forget to download the template! You have some very creative ideas! 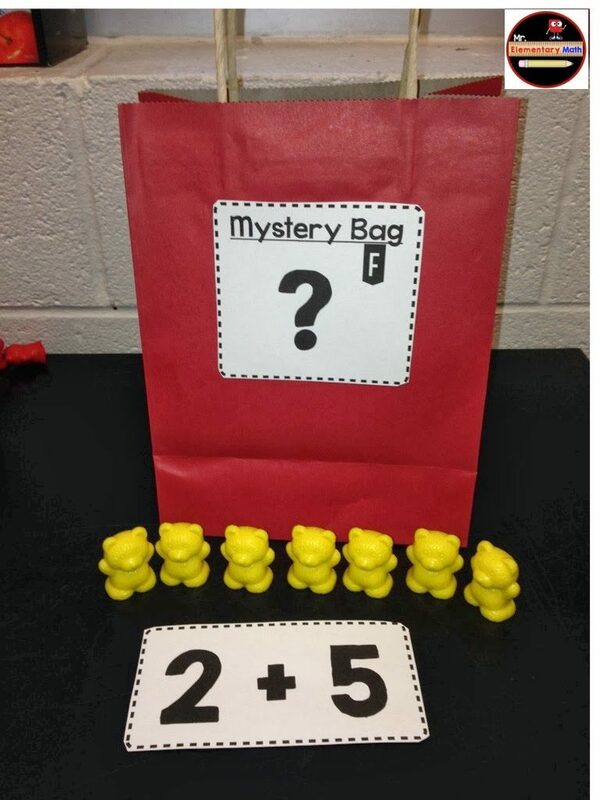 I love this mystery bag one and your geometry units! 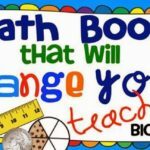 Are you making an Interactive Notebook for 2nd grade? Thank you! I am glad that you have found them to be useful. At this moment, I am on the fence about creating an Interactive Notebook for 2nd grade. However, I am currently working on a 2nd grade homework pack. Thank you for your interest. What a fun and engaging center! Thank you for sharing!